Latin for peacock, is a constellation in the southern sky.This pattern is for all of the Knitters who love the look of Broomstitck Lace but don?t want to fuss around with crocheting around a big, gigantic and cumbersome knitting needle. 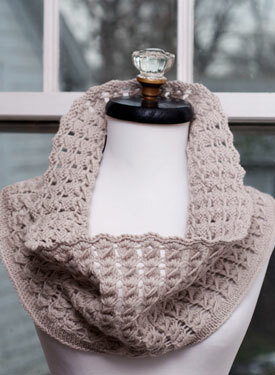 This beautiful cowl utilizes a unique knit stitch that mimicks the shape of the peacocks gorgeous plumage. 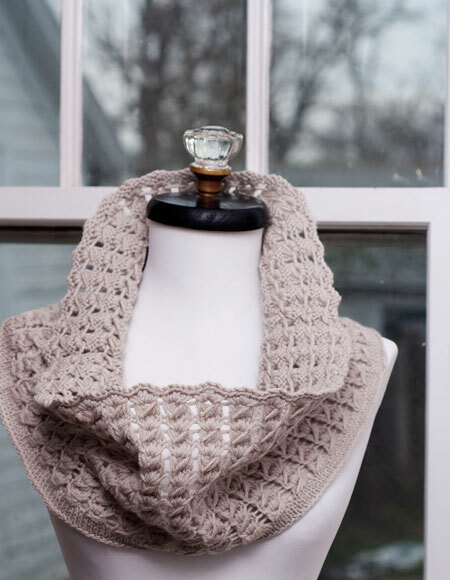 Knit in luxurious Capra, creating a soft, flowing cowl with lots of movement. Knit in the ?round?, so this is completely seamless and slips over your head. Measures approximately 26? in circumference and 7? 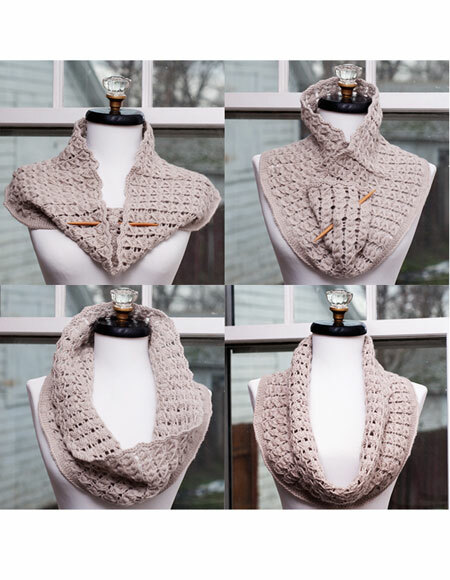 in width, making this a versatile cowl that will fit ANY size. 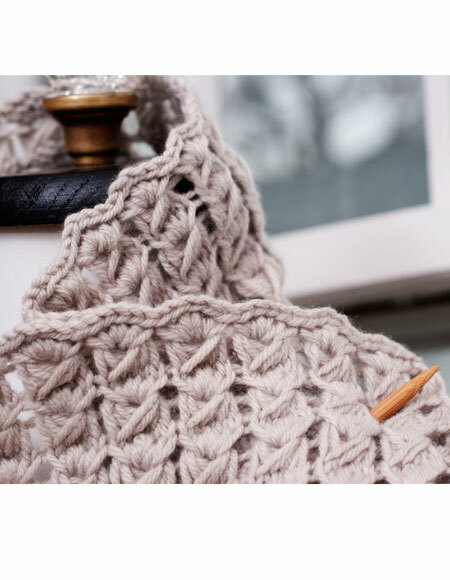 Pattern has a link to online HD video tutorials for stitches used in this pattern.